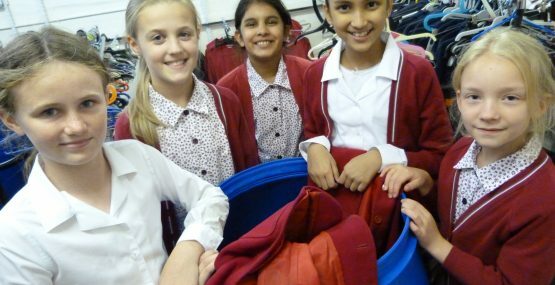 Pupils from Highclare Junior Schools have been busy this week packing up items of old school uniform which is to be donated to children in Malawi. Through a personal contact, arrangements are being made for the items of uniform that are no longer required by the children, to be transported to Chapanama Primary School, in Mchinji , where they can be put to good use. “This is an exciting and worthwhile project, which whilst helping those children in Malawi, also gives our pupils an experience of how children in other parts of the world are coping with their lives” said Mrs Bennett, Head of Highclare Junior Schools.